I just discovered this old favorite had recently been uploaded to the Internet Archive. The classic Warner Bros. animation and gags were enough for me suspend my disbelief on certain points, like the fact that the ship heads north up the East Coast from New York to get to Alaska, or the fact that there are no penguins in the Arctic, Alaska or even the Northern Hemisphere. SPOILER ALERT - Last time I saw this short, I did not realize that the spire on which the ship lands on its return trip was the obelisk at the 1939 New York World's Fair. From the Internet Archive, here is the 1939 animated short, Land Of The Midnight Fun. This morning's Sunrise Serenade was "Ti-Pi-Tin" by the Andrews Sisters. Click on the song title to listen courtesy of Jazz On Line. 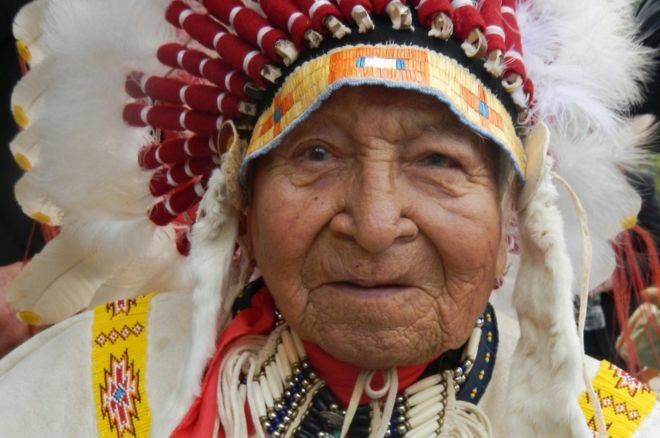 I saw on the BBC that Chief David Bald Eagle passed away July 22 at the age of 97. This gentleman lead quite a life. He fought in WW2, earning a Silver Star, and was wounded on D-Day. After returning to the states, he was a drummer in the Cliff Keyes Orchestra. He then moved to Hollywood, where he trained actors like John Wayne in horsemanship and shooting, and served as Errol Flynn's stunt double. In the 1950's, he joined a rodeo display team, and continued acting late into his life, appearing in Dances With Wolves. Today's Sunrise Serenade was "Whoa Babe" by the Casa Loma Orchestra. Enjoy the video from YouTube. The playlist for the July 27, 2016 broadcasts of the Swing Shift Shuffle has now been added to the playlist filing cabinet. This morning's Sunrise Serenade was "Red Sails In The Sunset" by Guy Lombardo's Royal Canadians. Click on the song title to listen courtesy of Jazz On Line. Today's Sunrise Serenade was "There'll Be A Hot Time In The Town Of Berlin" by Frank Sinatra. Enjoy the video from YouTube. I've been meaning to post this item for a while, and I finally got around to it. Classic Movie Favorites originally posted this item about the death of British actor Leslie Howard. Best known as Ashley Wilkes in Gone With The Wind, Howard appeared in a number of films I enjoy, including The Scarlet Pimpernel, Pygmalion and The First of the Few. In a book entitled Flight 777, author Ian Colvin examines the various theories surrounding Howard's death in 1943 when his commercial flight was shot down by the Luftwaffe. I'm still on the road, but I couldn't let this item go unposted. The Memphis Knights Big Band will be performing this Monday night July 25th at the Woodland Hills Grand Ballroom in Cordova. 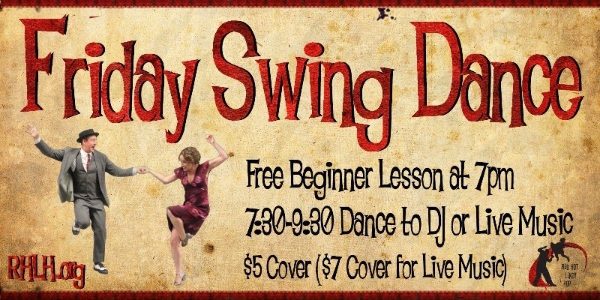 The show starts at 7:00 p.m., and admission is $10.00. More information here. I'm off on a road trip to beat the Summer heat, so the SSS blog will go on a shutdown/maintenance schedule for about a week.